If you are looking for information on the Mr Handyman franchise business opportunity, Mr Handyman franchises or Mr Handyman franchising, then you have come to the right place. 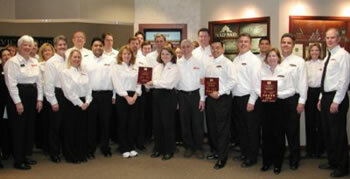 Mr. Handyman Is The Only Home Services Franchise To Receive The Prestigious WORLD-CLASS FRANCHISE Award. According to the independent Franchise Research Institute, "the highest honor any franchise company can earn is the enthusiastic support of their own franchise community. Mr. Handyman has earned that distinction." The World-Class Franchise With A World-Class Support Team. Your Mr. Handyman support team is passionate about your success. "We're proud to receive the World Class Franchise award. It validates our commitment and passion for our franchisee's success." World-Class Vision, Passion, And Performance. If you want to grow an equity business that provides financial rewards and enjoy a family-friendly lifestyle, Mr. Handyman is the franchise you. We invite you to learn what our franchisees already know, that Mr. Handyman is the WORLD CLASS FRANCHISE on which to build your American Dream.